While other people rubberneck and drive five miles an hour through autumn-tinted trees, we here in the Wonderland Treehouse are finding our autumn color without the benefit of cars. Behold, it's finally here! A MORE DIVERSE UNIVERSE is organized and facilitated by twentysomething Chicago blogger Aarti. 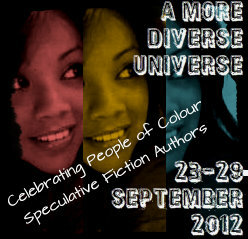 The purpose of A MORE DIVERSE UNIVERSE is to celebrate speculative fiction in color - all colors. Again, hat tip to Charlotte for giving me a heads-up about this tour; I think it's an awesome idea. I don't necessarily read SFF/spec fic trying to find authors of color -- if I did, it would be awhile between books - but I do enjoy reading speculative fiction with characters who the author takes the time to delineate as real -- people with real cultural backgrounds, real ethnic traditions, foods, folkways, and the whatever other sociological words you can find. It doesn't take a writer of color to do that -- it takes a real writer. A good writer. A writer who embraces the idea that the world of tomorrow will not be all white, male, and hetero. One of the many reasons I chose this book is because of the author's name which is unusual and falls melodically from the tongue. She even gives a pronunciation guide, which we'll get to later. For now... to the story! Concerning Character: Alyrra isn't in a position of power -- ever. Alyrra is honest to a fault, unsophisticated, and real -- but that's not what's best in a princess. Her mother, the Queen, is scary and cold -- ever focused on the end goal of alliances and power, and not at all above using her daughter to further those ends. The Prince isn't just a typical brother who teases or torments -- no. He's the type who started out "bullying" by pulling the wings off of butterflies. The scenes he's in will raise the hair on your arms. This is family: those who care for you and want your very best... not. Alyrra would have been in a lot worse shape, if it weren't for a friendly spirit -- or something -- in her corner. Counting on the unseen to help you out of a jam -- well, that makes as much sense as trying to whistle for the wind. Alyrra figures everything would be easier, if she just... didn't go to the huge new court, didn't marry the confusing, scary prince of Menaiya, and didn't try to do the things her mother wants her to do. After all, she didn't ask for the life she has... right? When she's forced into a new role - she runs with it. But, running never solves anything. Recommended for Fans Of...:THE GIRL OF FIRE AND THORNS by Rae Carson, THE BLUE SWORD, by Robin McKinley, and more stories of girl power, the likes of which are written by Kristin Cashore. Themes & Things: Without giving away any spoilers,I think I summed up theme just a few lines ago: running never solves anything. Alyrra ran from her brother, her mother, and then her future. In many ways, she was right to run from her brother -- very right, because sometimes distance is the only sane alternative. But she eventually learns to strike before she runs - and that makes a difference. Cover Chat: I love the top of this cover. The very top, with the bit of fabulous lace, and the strange eyes peering out of the blue. Love that. I don't also mind the trees and the grasses, but what doesn't work for me is the girl. Not only are there always girls on YA novels, which is not my favorite thing -- this one has blue eyes, fair skin, and brown hair. She could be ... Irish. English. Scottish. Canadian. She could be anyone, really, but a character in this story. She doesn't really look like a princess, even an impoverished one. It's not that she's not pretty enough - she's fine. It's just that there's nothing to say "Princess of of Adania," to me. I'm torn - I love the spooky eyes, but the girl looks a bit too pedestrian for me. I want my royalty to be a bit more ... something. "Over the years, I’ve considered different occupations based on how my name, Intisar, has been mispronounced. There’s “Intistar” (Galactic Space Commander? ), “Interstar” (Lowly Space Shuttle Captain? ), and “Inastar” (Nuclear Fusion, here I come! ), just to list a few. So how is my name really pronounced? Pretty much how it’s written: In-ti-sar Kha-na-ni." Born in Eau Clare, Wisconsin, this American author embraces her Pakistani heritage and has uses the subtle seasoning of food, tradition, and costume to reflavor an absolutely stunning fairytale of a story. And it is a fairytale - aficionados will realize this is the slightest bit of a spin-off on The Goose Girl. Also? Because the author is made of awesome, a portion of proceeds from this book go to Heifer International. This is an author to watch, truly, and I'm really looking forward to her next novel. She worked hard on this one - those thirteen drafts really show. Publishers, take note! A MORE DIVERSE UNIVERSE is a tour that runs all week. See the entire schedule here, and don't forget to check out all of the books that bloggers are suggesting! FTC:I don't know the author, and purchased my own copy of the book. The review was unsolicited. You can find THORN by Intisar Khanani at online retailers, or at an independent bookstore near you! The author sounds amazing and this book sounds like one that I shouldn't miss. Maybe I should start picking up books based on the author's name! @ Vasilly: Sometimes I do that - pick up random books from the library because I like the author's name or the cover. I get some gems that way! Thanks for dropping by! Love that cover! And the premise sounds wonderful. I will definitely look for this book! @ LinWash: Yay! I'm hoping to get people reading this one before the Cybils so it'll be a nomination option for those stuck on finding a book. @ Fence: Definitely. It's not an exact read-alike, but it reminded me of her books, and I was impressed. Really, really impressed. Hope you check it out, and thanks for dropping by! @ Charlotte: You and I have conversed about necks on YA book covers before - don't know what it is, but some neck/face ratio isn't working out - her head is oddly tipped. Some Photoshop Disaster at play - and she just doesn't match the story. The story itself is so worthwhile, though, so I hope you do find a chance to read it. @Liviania: I thought I was over the fairytale thing, after reading a couple which threw in vampires in a completely random fashion (I shall not name names) but I'm happy to see this one worked well in every way. Thanks so much for participating and for reading a book no one else read! I'm glad you enjoyed it, though I agree on the cover. I really appreciate it when authors include pronunciation guides for their fantasy works; not that I can't imagine my own pronunciations, but when you know they've spent soooo long creating these worlds, you want to feel as though you're doing it justice by "speaking their language" as a reader. This sounds like a great story! @ Aarti Count me in the next time you do this! @ Buried in Print: It IS a great story. I might have misguided you, though; the pronunciation guide is only for her name! This sounds REALLY, really good! And, yay for more Pakistani-Americans writing YA fiction. :) :) I'll give this one a try. Sorry to be so late to chime in on this. I really look forward to reading it! Wow - thanks for your review of Thorn! I'm honored that you enjoyed it :) I admit I was really excited to discover your review last night while doing a random google search. I wonder if you would consider cross-posting it to GoodReads or Amazon? I struggled with the cover a lot, and am considering having a new one designed. I never realized how tough it is to get a cover "right" until I started working with graphic designers. I'm still learning--that's one drawback of being an indie author: you start from scratch in terms of experience with these things. Your thoughts, and the comments here, are great feedback for me, and I will keep them in mind! I'm happy to report that the new short story I am releasing this month will not have a cover model. It just messes with the ideas we have in our heads of what characters look like. Thanks again for this awesome review! 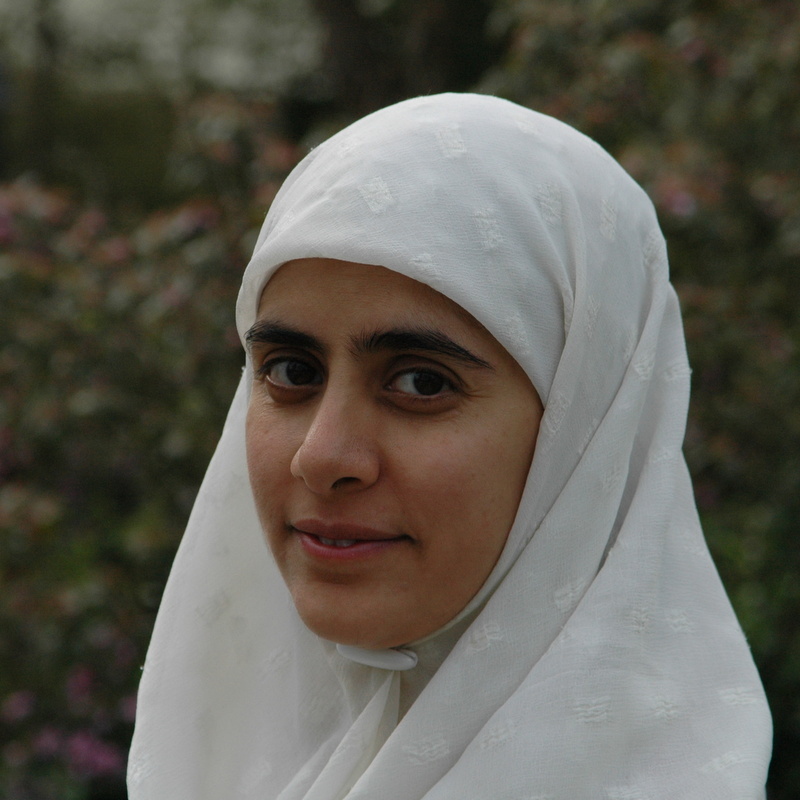 @ Author Intisar: Thank you for coming by and writing and I wish you every joy and success in writing more. Just wanted to jump back here for a huge Thank You for nominating Thorn for the Cybils! I am really excited about the nomination, and interested to see how it goes. Thanks so much for putting Thorn forward! You're really welcome. I'm excited to be reading this year for the F/SF crew, and I think your book will get a lot of love, as it deserves! 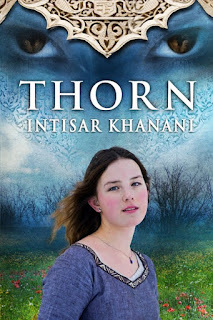 Hi Tanita, it has been a long time, but I wanted to let you know that I bought Thorn on your recommendation after this post last year and I just read it and I LOVED it. I always try to tell people when I read books on their recommendation - it's good to know that you have at least a small impact for good :-) I'm so glad you brought the story to my attention. It was fantastic! Thanks so much. @Aarti: Oh, YAY! I am always so glad when people love something I love. I am so excited by Intisar's work, and I love fantasy, and so it's just double happiness that you love it, too. Can't wait 'til next autumn's MORE DIVERSE UNIVERSE. I'm lining up my book picks against the day! Wait. So, is this a GOOD thing?